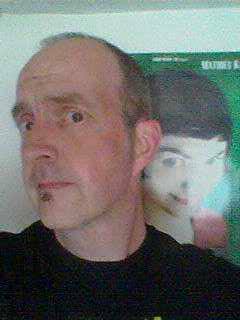 It’s been a great week for Colchester 101’s movie critic Andy Oliver at Colchester’s Odeon cinema. Not only did he love The Jungle Book but Captain America: Civil War had exceeded all his expectations. 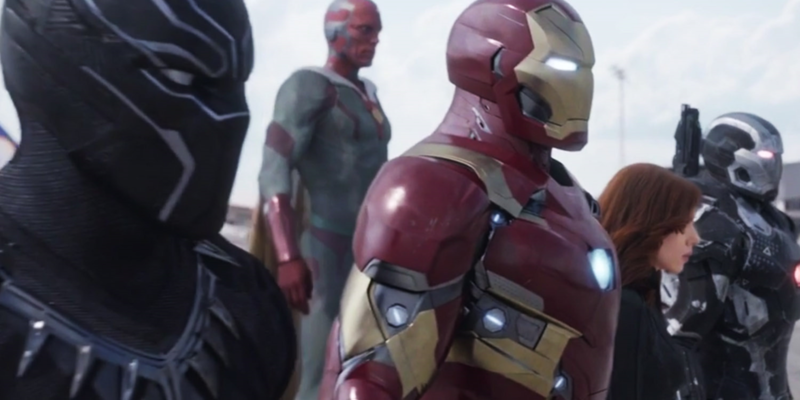 Captain America: Civil War is stuffed. Stuffed full of action, suspense, great characters, wit, surprises and intelligence. It’s the cinematic equivalent of Christmas dinner: A plate brimming with so many diverse and tasty ingredients that you’re not quite sure it will all fit in your stomach, but satisfyingly does and, a couple of hours of rest later, you’ll want to eat it all over again. It’s everything that Batman V Superman: Dawn of Justice wasn’t, thankfully, and it might just be the best Marvel movie yet. Civil War is the culmination of many of the major climactic moments of the Marvel cinematic universe, all those huge ships crashing into the Earth, cities destroyed and innocent lives lost (see Avengers Assemble, Captain America: The Winter Soldier and Avengers: Age of Ultron specifically, but the entire back catalogue – with the exception of Guardians of the Galaxy – in one way or another). 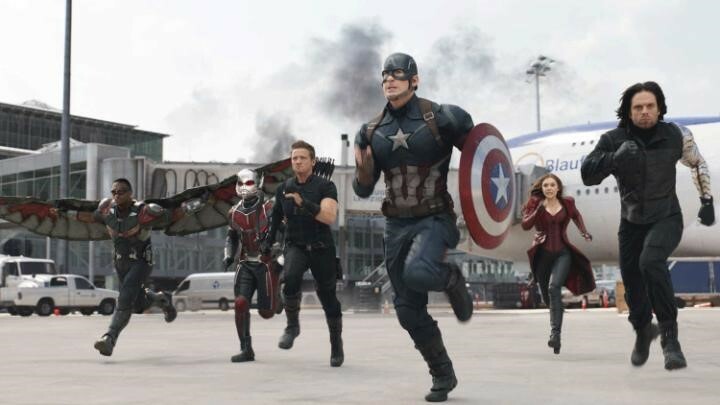 The movie kicks off with The Avengers in conflict with bad guy Crossbones and his mercenary force who are attempting to steal a bio-weapon from a scientific facility, a conflict that ends with an explosion that kills dozens of innocents and Scarlet Witch (Elizabeth Olsen) is indirectly responsible. For the United Nations, this is the final straw, The Avengers may be saving the world but at what cost? The UN passes a framework motion, The Sokovia Accord, which will see the super team no longer be a private group but rather a UN sanctioned task force. Schisms start to appear in the team as ideological differences begin to appear, first with an argument, then a scuffle, a fight and then all-out war. I don’t want to give away any more of the plot than that. Part of the joy of Civil War is watching the plot develop logically and organically. Everything has its place and every character is serviced by and, in turn, services the story in satisfyingly intelligent fashion. Something you’d be hard-pushed to claim about Zack Snyder’s hero versus hero smack-down, Batman V Superman, you’ll be pleased to know that there are no Jolly Rancher sweeties or jars of pee on show here. 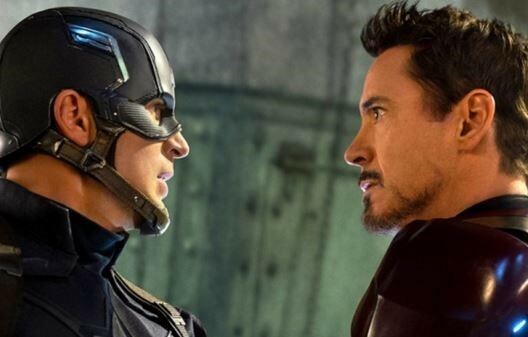 Civil War skilfully demonstrates the long game Marvel has been playing throughout their movies, this is long-form storytelling not only in plotlines but in character arcs, also. Characters make decisions which are not based solely on the situations they are presented with in this movie but in all their previous appearances. Marvel is not resetting these characters at the beginning of each new movie, what went before really matters. Before you begin to think this is just another Avengers movie snuck under a Captain America banner, this is absolutely a Captain America movie. Everything that happens in Civil War revolves around the emotional, intellectual and philosophical hub that is Steve Rogers/Captain America (Chris Evans), it is his relationship with Bucky Barnes/The Winter Soldier (Sebastian Stan) that provides the heart of the movie. Cap has always seen the world in black and white, but now shades of grey enter his world and he finds himself taking actions that are maybe not right, that are maybe selfish(?). It’s an interesting shade for Chris Evans to play, a new level of self-doubt, a Captain America who allows his emotions to obscure his moral compass. With his revelation, way back in 2008, that he was Iron Man, it is obvious which side of the ideological argument Tony Stark (Robert Downey Jr.) comes down on and this is what brings him into conflict with Cap. 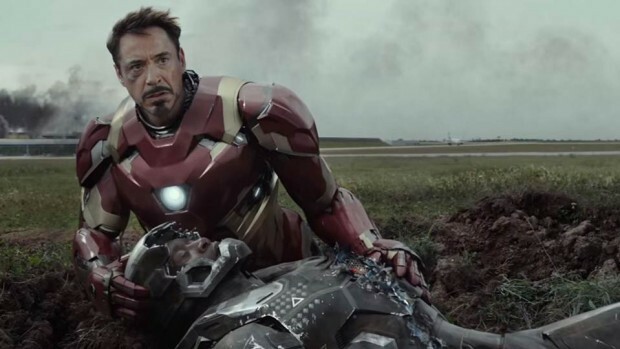 Iron Man made Downey Jr. a bona fide movie star, but in Civil War he reminds us that before that he was a respected, if troubled, actor and turns in one of the most genuinely nuanced and raw performances of his career. There are new levels of guilt and grief to Tony Stark and Downey Jr. sinks his teeth into the role with zeal and gusto rarely seen in any movie, let alone in a genre viewed by many as throwaway. One of the great triumphs of Civil War is that all of the characters involved are given the time and space to explore their decisions on which side of the divide they will fall. Not only that, but they actually grow. We get to understand more about them and find that they are more than just two-dimensional cut-outs in colourful costumes. From The Vision’s (Paul Bettany) attempts to understand humanity and his part in it to Scarlet Witch exploring her guilt and trying to find a place to belong. The remarkable thing is that not a single character feels superfluous. Which brings me to the geeky bit: The new introductions to the Marvel Universe, Black Panther and Spider-Man. Black Panther (Chadwick Boseman) is T’Challa, ruler of the African kingdom of Wakanda, location of Iron Man and The Hulk’s battle in Age of Ultron, raised to don the Panther mask as protector of his people. Boseman plays him with not only the innate regal dignity of royalty but with all the grace and poise of the predatory big cat he bears the name of. It’s a great introduction and leaves you eagerly awaiting director Ryan (Creed, Fruitvale Station) Coogler’s Black Panther solo movie next year. Black Panther is a character you’ll definitely want to see more of. 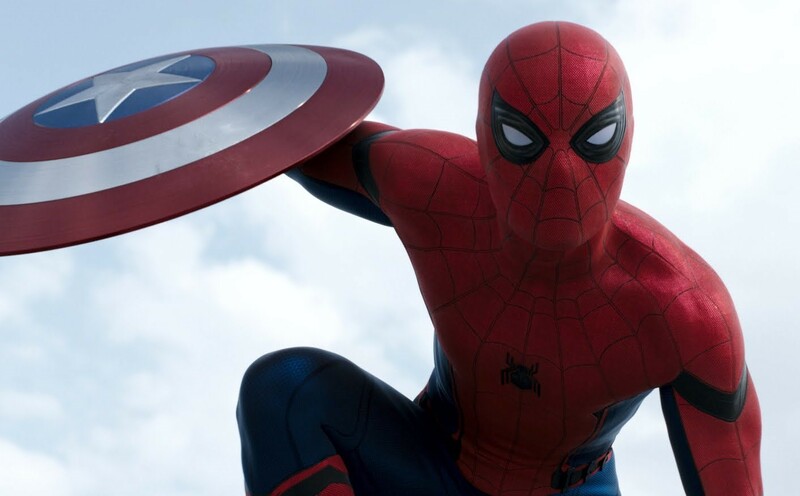 Technically, although being a Marvel Comics mainstay and titular character of five movies so far this century, this is Spider-Man’s first appearance in the MCU. Previous iterations of the character (played by Tobey Maguire and Andrew Garfield) were produced under license by Sony Films and you may feel you know what to expect from him. This is an all new Spider-Man (played by Tom Holland), he’s a lot younger than you have seen so far, he’s a kid finding his way in a very grown up world. By the time he shows up you may worry that he’ll be one character too many, but Holland plays Spidey/Peter Parker to perfection and you’ll be glad he’s there, he’s a lot of fun and provides some great moments. In other hands Civil War could easily fall apart due to the always impending risk of bloat, but in the hands of directors the Russo brothers and writers Christopher Marcus and Stephen McFeeley moves along at perfect pace and without an ounce of unwanted fat. Some feat that, even at a running time close to two and a half hours, you’ll not feel it has outstayed its welcome (there was no after credits scene in the press screening I attended, Marvel saves these moments for the fans. I know. I sat there for ages waiting for one). Civil War is a spectacle that takes the time to ponder the meaning of responsibility, loyalty, honour, the cost of revenge and the subtle betrayal of opposing ideologies. The action is exhilarating, from the awesome opening that sees the Avengers as a lean, co-operative fighting machine to the grandly operatic airport conflict, which pitches the heroes against one another in a battle-royale that is the closest you’ll come to one of those incredible double page spreads that coloured your childhood. Captain America: Civil War is a triumph, a truly great action movie that raises the bar for everything that follows and actually manages to make everything that came before even better.